This is one of my all-time favorites in the Metro Detroit area! 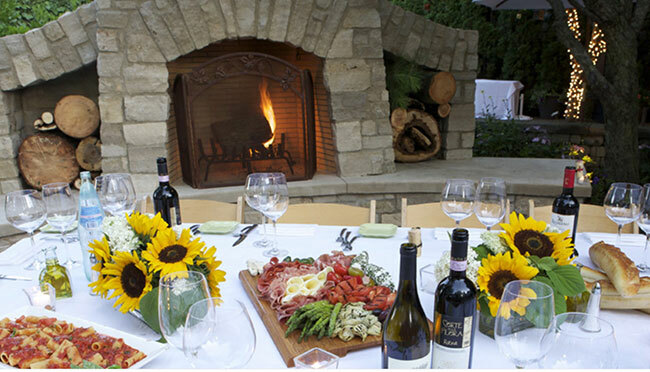 It’s sophisticated and elegant, serving authentic Italian food. It’s also family–owned and has been around for nearly 50 years. The Tonons (Rina and Adrian) are two of the nicest people I’ve ever met. 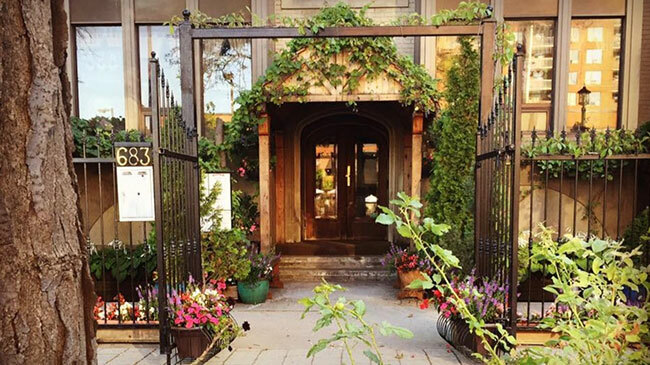 Cafe Cortina features handmade pasta, herbs grown in its own garden and superior service. I had the pleasure of dining here when I first came to Detroit nearly 30 years ago – and I’ve never forgotten it. The Cook Shop’s inviting atmosphere and table side service are impeccable. They also specialize in Italian delicacies, as well as prime beef and chops, and delicious chicken dishes, aa well. Over-the-top desserts include Cherries Flambé and Crepes Suzette. This place is known for its fab fondue, and dining there is a lovely experience! It just so happens to be my daughter Jacquelyn’s favorite restaurant (bar none! ), so we’ve celebrated many special occasions there. 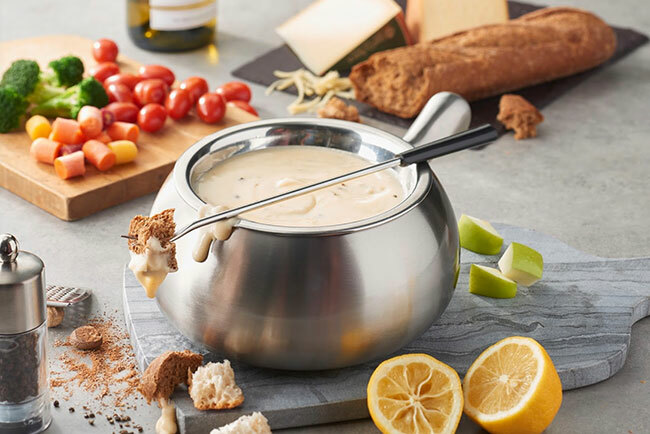 It’s also nostalgic for me as I recall when my mom bought our first fondue pot back in the 1970s, and I have great memories of our family huddled around the table, cooking our own dinner. 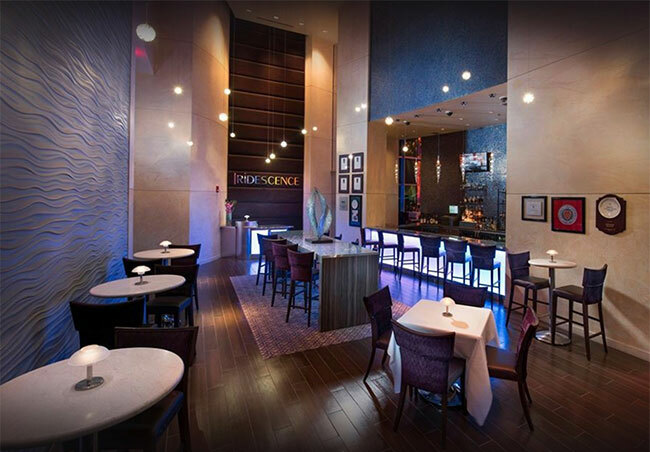 The Melting Pot is a great destination for sharing food in an upscale atmosphere, but it’s also awesome for families. 4) Blue Nile – 545 W. Nine Mile Road, Ferndale. This Ethiopian eatery was an anomaly in Greektown years ago – a standout on Monroe Street in a sea of classic Greek-themed restaurants. I remember visiting long ago while on a news story, and although I was reluctant to venture out of my comfort zone of everyday burgers and fries, I was quite surprised! 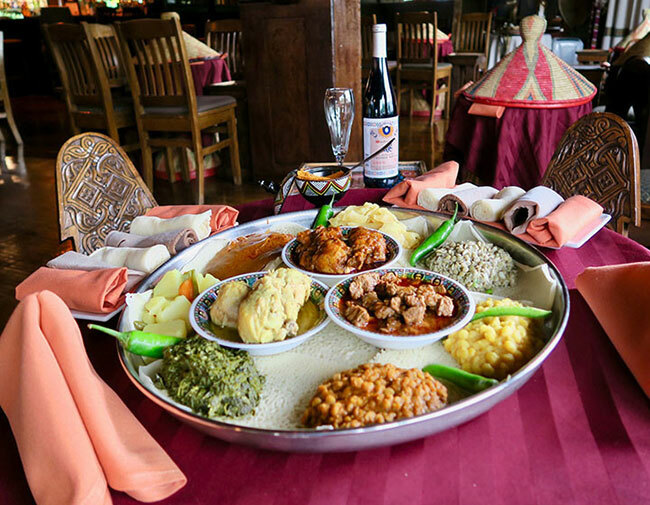 Blue Nile has since relocated to Ferndale, bringing its genuine Ethiopian cuisine and awesome atmosphere to the ‘burbs. For a break from traditional Valentine’s Day romance, you can enjoy sharing plates, eating with your hands, and even sitting on the floor (optional) for a true taste of this rich culture. Blue Nile’s food is incredibly fresh, and they have a vast selection of vegetarian dishes, as well. For me, this restaurant defines fine dining in the D! Spectacular views and phenomenal food mean excellence in my book. I’ve had the honor of dining with them several times, and each experience has been nothing short of remarkable. While on most visits I stick with my favorite dish of filet mignon (with some of the best Béarnaise sauce I’ve ever tasted! ), I have on occasion indulged on their King Salmon, which was equally delicious. While Iridescence is a bit pricy, I think a special-occasion destination like this is truly a gem at the top of the city! Romance thrives on having new experiences together, and trying a new restaurant or revisiting an old favorite can be a great way to reconnect, relax and enjoy an intimate meal. Take a romantic cruise, Detroit style, and support Dine & Dish Nation! If you don’t have the opportunity to get out and enjoy this Valentine’s Day, I have a perfect out-of-the-box gift idea for your Sweetheart: a luxury cruise for two onboard The Ovation Yacht in Detroit. As part of our Indiegogo fundraising campaign, we’reoffering a this truly unique way for you to venture out of the ordinary! This incredible excursion will take place June 16, 2019, but we’re making reservations now for our campaign’s top donors. With unrivaled, distinctive dining, a premium open bar and top-notch entertainment, this will become an incredible memory to cherish forever. Infinity and Ovation Yacht Charters have perfected the art of elegance for more than 25 years, and they’re still offering one of the most incomparable journeys in the Detroit area.